Display quality images of diverse Canadian landscapes on the walls of your business to inspire customers and potential clients. If you reside in the Calgary area I can meet personally with your team to build a look that suites your budget. Significant discounts for 3 or more orders in all formats. I use Resolve Photo which is a local printing company who are well known within the photography and fine art community for their high calibre printing techniques. Each image is meticulously analyzed by myself and then proofed by Resolve Photo before the print is handed over to clients. Each image is different than the next, therefore the appropriate paper is selected for each image to create the best quality print for the client. The best care in print process and shipping is considered for your investment. Coated aluminum Panels with a high gloss white base the provides the brilliance of photographic paper and the added impact only a metal substrate can provide. 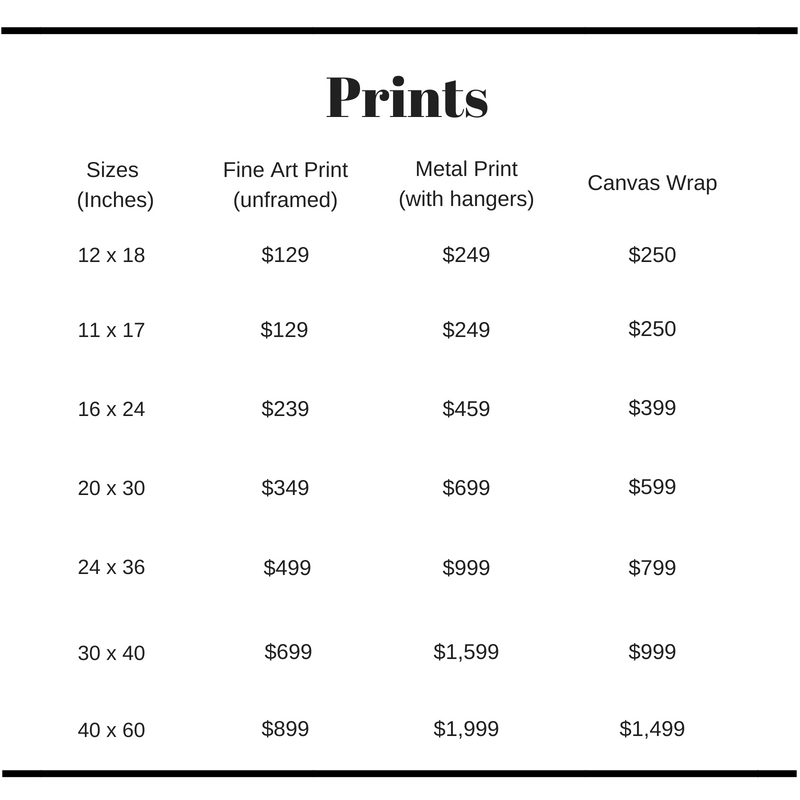 The process for producing high gloss metal prints involves infusing dye directly into a coated aluminum substrate. The end result is a vibrant print with great detail and resolution. Hangers are included. Gallery wraps arrive as completed pieces, ready for display. Traditional Canvas prints are produced on Kodak Endura silver-based paper. The photo emulsion is laminated with a satin finish, stripped away from its paper base and, under high pressure, bonded to museum quality artist’s canvas. Canvas's are an inexpensive alternative for framing. 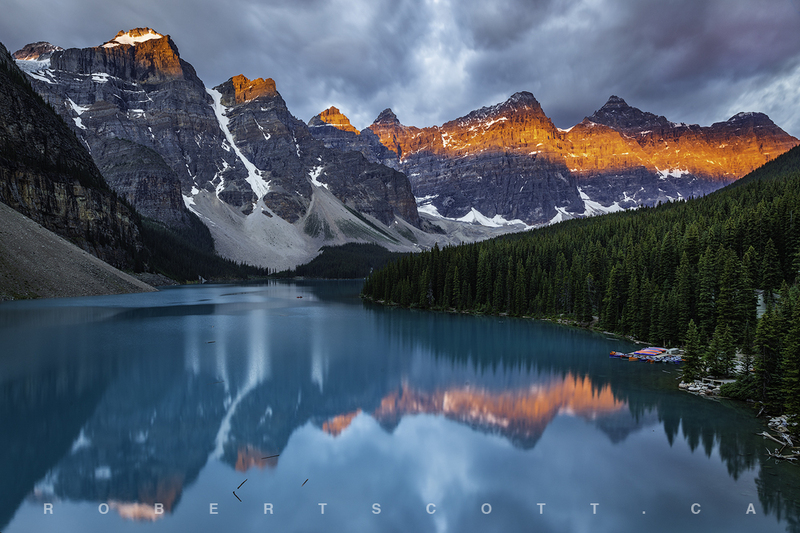 All Robert Scott Prints are limited edition. Only 20 prints in all formats and sizes will be available. All images will come with a signed limited edition label, title of the image and its edition number. A Limited Edition Gallery will be posted soon! Thank you for your interest in my work. Each image is captured, processed and printed with care in order to bring the highest quality image to your home or place of business. Please take your time and browse the galleries as new images are uploaded regularly. Please note that not all images can be printed in all dimensions. If you are uncertain of the size you are looking for, please send me a message and I can help with the appropriate dimensions to select. Please fill out ONE order form per print. Shipping is dependant on location and the size of your order, approximately $20+. Duties and import fees are the responsibility of the client. Please allow 4 - 6 weeks for delivery depending on the size of your order. A Limited Edition Gallery will be posted soon with direct pay pal purchase. In the meantime, please add a description of your desired image in the form below. We are currently working on our online store. Upon receiving your order an E-transfer will be the quickest form of transaction until the online store is up and running. Sign up with your email address to receive news, tutorials and special offers.